The Dental X-Ray Systems Market is segmented by Technology, Procedure Type (Intraoral X-rays and Extraoral X-rays), and Geography. The dental x-ray systems market is expected to register a CAGR of 7.5% during the forecast period. X-rays are becoming an important part of the dental care plan. These x-rays are commonly used for the diagnostics and also for preventive measures to aid oral problems. X-rays are a kind of radiation, which is generally absorbed by tissues (denser tissues) and these rays pass through the soft tissues. As bones and teeth are the dense tissues, they absorb the rays and form an image. The dental x-ray systems market is primarily driven by rising geriatric population, increasing incidence of dental diseases, and recent technological advancements in dental imaging methodologies, which are enabling more accurate diagnosis of dental disorders. Furthermore, increasing demand for cosmetic dentistry is also supplementing the market growth. The dental x-ray systems encompass various dental x-ray devices, including mobile and fixed x-ray systems, based on analog and digital technologies. The procedure type segment of the report covers different types of dental x-ray screening, such as bite-wing x-rays, periapical x-rays, and occlusal x-rays, among others. The digital x-ray segment is expected to register significant growth. An increasing number of medical specialists are upgrading their analog systems to digital ones, owing to benefits, like increased speeds and flexibility. Furthermore, current generations of digital x-ray systems are equipped with the capabilities of integrated storage and data distribution tools, allowing seamless integration with the existing digital medical device infrastructure and widely used telehealth and EHR systems. Government organizations are also promoting the adoption of digital x-ray systems. The United States federal agency of Medicare and Medicaid Services introduced a policy to decrease Medicare reimbursements by 20%, for the medical tests employing analog x-ray systems. 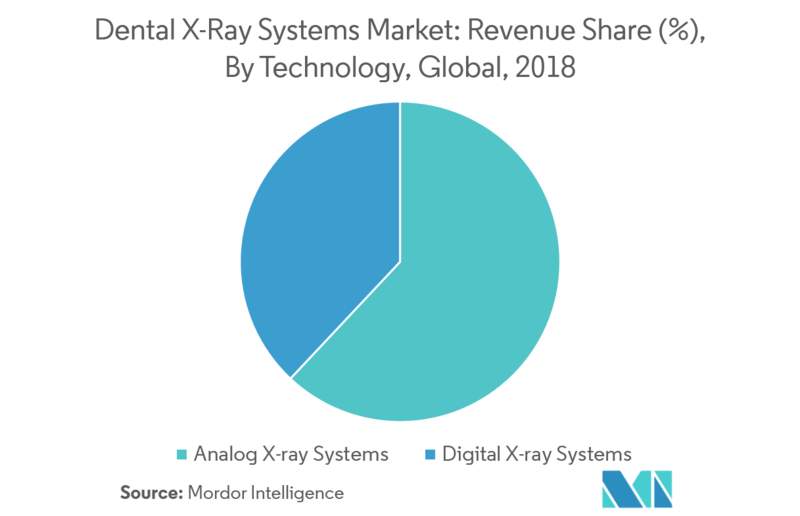 Thus, the procedural and operational advantages enabled by digital systems, coupled with government initiatives, are fueling the higher adoption of digital x-ray systems. 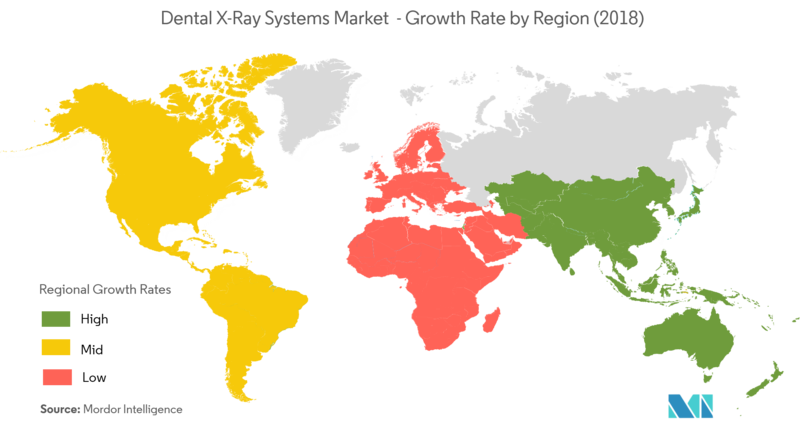 The US dental x-ray systems market held the largest market share in 2018. The primary factors behind the large market size are the high awareness among the patient population and high replacement rates of medical technologies. 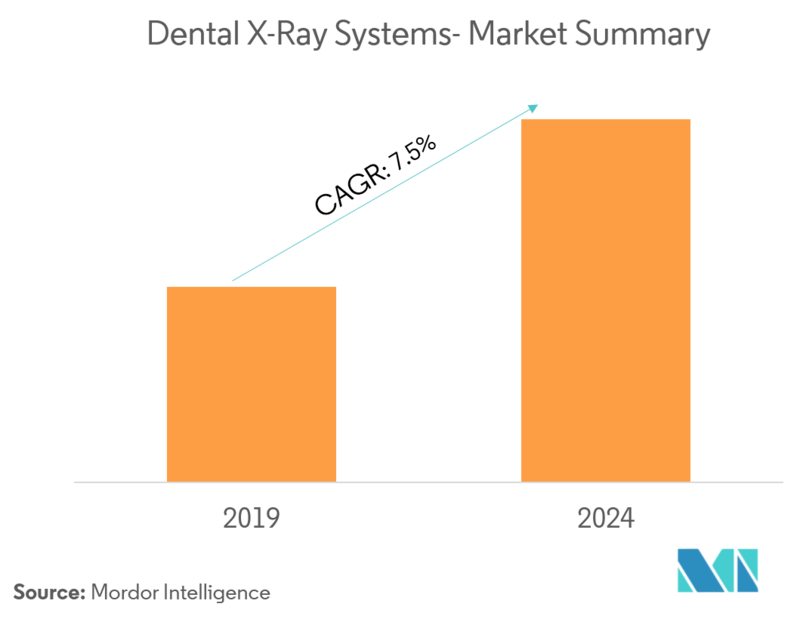 Additionally, the rising geriatric population in this region is likely to contribute toward the growth of the dental digital x-ray systems market. 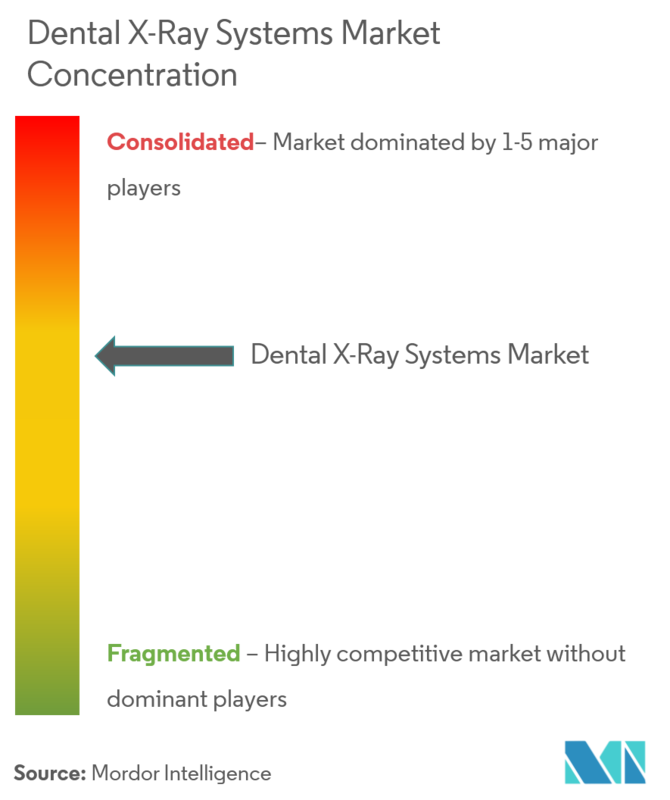 The dental x-ray systems market is fairly consolidated, and is highly competitive. The market is dominated by a few global players that specialize in the imaging or dental equipment industries. Major market participants are competing on the fronts of increased portability, mobility, and advancements in imaging resolution. Key players in the market include Air Techniques Inc., Carestream Health Inc., Danaher Corporation, GE Healthcare, LED Medical Diagnostics Inc., Planmeca, Dentsply Sirona Inc., Valtech Co. Ltd, and Yoshida Dental, among others. 6.1.5 LED Medical Diagnostics Inc.
6.1.7 Sirona Dental Systems Inc.